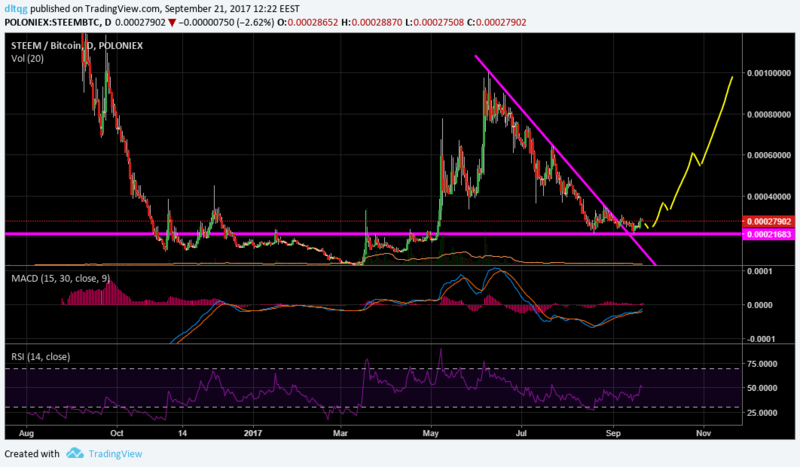 STEEM reached the bottom, ready to launch. From what I see, STEEM bounced from the bottom twice, accumulating for a new sprint to the ATH. I believe it will once again touch the 21500 area and then start the climbing. If BTC doesn't do anything big, until the end of the year, we should see a 5X return.